Welcome to the Falmouth Garages and Mid Cornwall Cars Ssangyong Home Page. As your local Ssangyong main dealers in Falmouth and Roche near St Austell, we can offer you a great deal on a new or used Ssangyong. With a good choice of new and used Ssangyong, we also have state of the art servicing facilities for Ssangyong servicing and repair to keep your Ssangyong safe and on the road, where it should be. Here at Ssangyong we're all about value for money and customer service, so why not put us to the test and come and see? 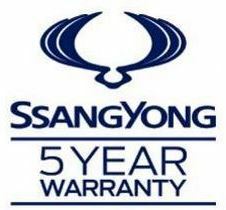 Don't forget that we also have Ssangyong parts and accessories.